Internal Test of B.Com (Hons/Gen) 1st Semester Examination Admission Batch 2017 will be conducted as follows. 1. 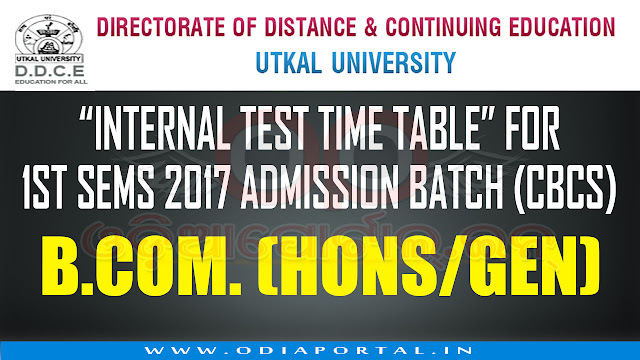 Report at DDCE, Utkal University at 8.00AM on respective dates.